Arthur Lee turns Love into a tight-knit funk and R&B outfit on this long-lost 1974 gem. Best known as a forward-thinking purveyor of psychedelia and acid-tinged folk-rock, and more infamously known as somewhat of a loose cannon, Arthur Lee is undoubtedly a key figure in rock and roll history. As the leader of Love, one of the Bay Area’s most ambitious and eclectic ‘60s acts, Lee commanded his way through some of rock music’s most powerful performances -- “7 & 7 Is”, “My Little Red Book”, the entirety of 1967’s Forever Changes album -- while also driving the band lineup through numerous personnel and vision changes due to the sheer ambition of his focus and volatility of his personality. By the end of the ‘60s, drugs and other assorted associations had taken their toll, affecting the band’s cohesion and Lee’s frame of mind. Lee quickly was signed as a solo artist, but curiously continued recording under the Love moniker, shuffling through various co-songwriters, session players, and the occasional household name while capturing the wide ranging methods of sound that passed through his lens. This period of upheaval served as the background for the recording of Reel to Real, an 11-track album, now reissued by High Moon Records, and expanded with an additional dozen unreleased, alternate, and demo versions added on for clarity and completeness. While initially passed over in terms of notoriety at the time of its 1974 release, Lee was configuring Love into a high-flying soul, funk, and R&B-influenced outfit well on its way to matching the swagger and versatility of better known contemporaries such as Stevie Wonder, Marvin Gaye, and Sly Stone. In fact, Love’s supporters and benefactors were so awed by his intended vision that they were capable of roping in a princely advance fee for the album’s recording and a string of sweet opening act gigs for artists like Lou Reed and Eric Clapton. Though the cash sum would soon be swept away and the touring performances were turned into unmitigated disasters, Lee was able to channel his energy and focus into completing quite a remarkable album’s worth of tunes. Featuring a bevy of horns, keys, and synth, Reel to Real sounds nothing like prior incarnations of Love. Gone were the trippy and ominous declarations of psych-freak, minor chord ghostly swirls, and dread that had populated earlier Love tunes. Instead, the album sways on the side of cheerfulness, plowing along accompanied by rhythmic grooves that rattle the bass channels of the speakers instead of airily filling the treble sides. The frenetically chugging “Who Are You” plays like a long lost AM-gold funk staple, all bell-bottoms and wild hair and pure groove. Similarly, “With a Little Energy” calls forth a rallying cry mantra worthy of the Staple Singers or Bill Withers. “Good Old Fashion Dream”, perhaps the album’s catchiest tune, shines through with pure James Brown and Al Green soulful joy. Below the surface, though, things aren’t as rosy as they may appear. There are still small doses of Arthur Lee despair percolating through. “Stop the Music” is noticeable for its’ arresting blues dirge delivery, while “Be Thankful for What You Got” slows things down to accompany Lee’s plea for appreciation and thankfulness. The album eventually finds its way back to the rock and roll ethos of Love’s earlier work as the final three songs’ arrangements shape their way back to familiar terrain: guitars, bass, drums, and subtler accompaniments. As posthumous releases continue to become the industry standard for quick monetary gains and marketable branding mechanisms, releases such as this one prove valuable and worthy of the attention. Of course, being that the album went largely unnoticed upon its original release date, it is almost as if these recordings are in fact seeing the light of day for the first time. And that’s just fine. Longtime fans and musicologists will revel in the fine-sounding audio remasters that make the funky basslines thump a bit heavier, the horns swing a bit jazzier, and Lee’s yelps project that much higher. Those casual fans, only familiar with Lee’s Forever Changes persona, will enjoy hearing Lee emphasizing the soulful swagger at the expense of the paranoid, psychedelic hysteria. At times, it’s difficult to comprehend that it’s even the same voice. 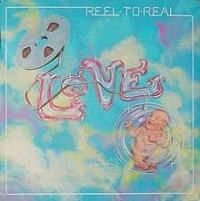 Above all, Reel to Real is a testament to Lee’s fiercely defined approach to music. He followed his own rules, listened to his own voices, and despite leaving quite a wreck along the way, captured his muse to the best of his ability.